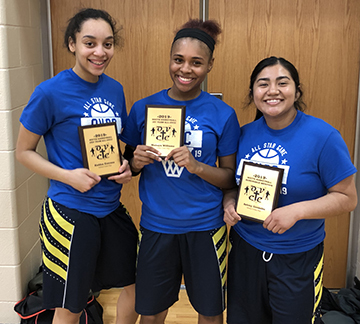 Seven members of DePaul Cristo Rey’s basketball teams have received All-Conference Honors and participated in the Ohio Valley Christian Athletic Conference (OVCC) All-Star Game on March 12. Varsity Boys Basketball Coach Randy Cornelius was named Coach of the Year for the South Region. Coach Cornelius is on the far left. 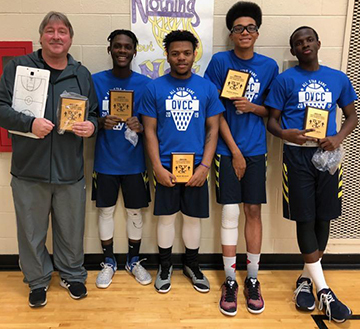 This season the boys varsity team won the OVCC league tournament and finished third in the OCSAA (Ohio Christian School Athletic Association) state competition.